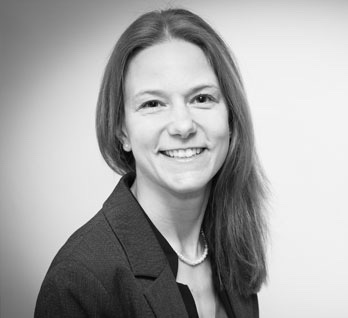 As a Senior Associate in the London office of Amsterdam & Partners, Inga specialises in international commercial arbitration and litigation and has significant experience in emerging markets. She focusses on innovative and agile approaches to managing governance issues, a focus that’s lead her to advise clients located in major financial centres as well as countries facing rule of law challenges. Inga also advises on managing complex cross-border disputes both by way of litigation and arbitration, and she has extensive experience in corporate and business transactions. Most recently, Inga’s professional experience has taken her to Central Asia and Africa. This includes advising Oxus Gold in its dispute with the Republic of Uzbekistan, and consulting for a fuel supplier to the Manas Transit Centre in Kyrgyzstan under a US Department of Defense contract in its dispute with the Kyrygz government. In Africa she’s advised an African state on a construction dispute, as well as working with the Democratic Republic of Congo on a joint venture dispute and the consequential ICC arbitration in relation to a mining asset. She’s also spent a number of years as a Solicitor with Clifford Chance LLP in their London, Frankfurt and Moscow offices. From there she went on to work as an Associate for Freshfields Bruckhaus Deringer LLP in Moscow where she advised Russian and foreign clients in the oil and gas, banking, and real estate sectors. She has a graduate diploma in Law and Legal Practice Course from Nottingham Law School, a BA in Russian Studies from University College London and speaks German, English and Russian. Inga is qualified as a Solicitor in England and Wales, and is also qualified as a Registered Lawyer with the German Law Society.